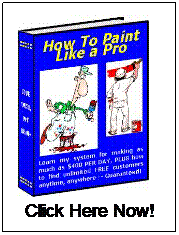 The best painting tip I ever got was from a guy I called “Bob the 30-year guy”. He was an experienced, self-employed, house painter. One of the old Dutch painters. I took him up on that advice and I always worked at being the best painter I could and people did notice it. Although when I did do my very best, I always noticed a flaw somewhere in each job when it was finished. It did not matter how hard I tried there was always some small spot or area that I wished had turned out better. I mentioned that to a fellow Christian one day who happens to be one of my customers and he said that he grew up in Africa because his dad was a missionary over there. He said that the Muslim’s that would weave blankets on their weaving machines would put an intentional mistake in the pattern somewhere because they said “Only God is perfect”. After that I didn’t try so hard anymore even though I went on to do quality work. So the best painting tip I can give you today as a fellow painter or painting business owner is be a good painter but realize that we are only human and we will make mistakes in our craftsmanship. It’s impossible to do a perfect job because we are imperfect creatures living in an imperfect world. 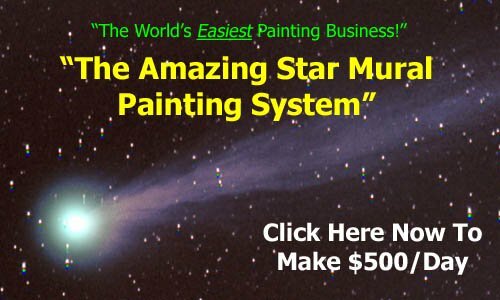 Enjoy this article for painting tip? Go here for more handy tips.